But I hope God in His goodness their souls will save. 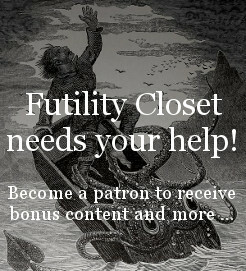 In this episode of the Futility Closet podcast we’ll sample McGonagall’s writings, follow the poor poet’s sadly heroic wanderings, and wonder whether he may have been in on the joke after all. We’ll also consider a South Carolina seventh grader’s plea to Ronald Reagan and puzzle over a man’s outrageous public behavior. Our segment on William McGonagall, the world’s worst poet, is drawn from Norman Watson’s beautifully researched 2010 book Poet McGonagall: A Biography. 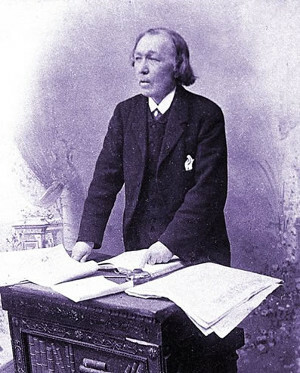 The best online source on McGonagall is Chris Hunt’s site McGonagall Online, which contains extensive biographical materials, a map of the poet’s travels, and a complete collection of his poems. South Carolina seventh grader Andy Irmo’s 1984 letter to Ronald Reagan asking that his room be declared a disaster area appears in Dwight Young’s 2007 book Dear Mr. President: Letters to the Oval Office from the Files of the National Archives. Our post about it ran on Aug. 14, 2006. Thanks to listener Nick Madrid for this week’s lateral thinking puzzle.